It’s not a surprise to see so many people suffering from back pain. Year of bad posture habits can lead to back problems and pain. Slouching our shoulders, walking with our heads down, sleeping in bad positions, you name it, all of it contributes to complications later in life. Besides relieving people from back pain, improving posture also gives more self-esteem. Good posture gives the appearance of looking taller and slimmer, enables people to look at others straight in the eye, and in general, feel better about themselves. And without any back pain. There are many different posture correctors that can help develop good posture. One of the easiest is posture straps because they adapt to your body and are simple to wear. They are usually comfortable and a good price. With a Velcro closure, there is no difficulty in putting on and taking off the BraceAbility Figure 8 Clavicle Brace & Posture Support Strap. This posture strap is adjustable, comfortable and, at the same time, gives good posture support. There is a thick felt back pad, for comfort, that makes the strap wearable the entire day. The wide straps enable the strap to be tight fitting and provide maximum support. The Braceability Figure 8 can be worn under or over your clothing. 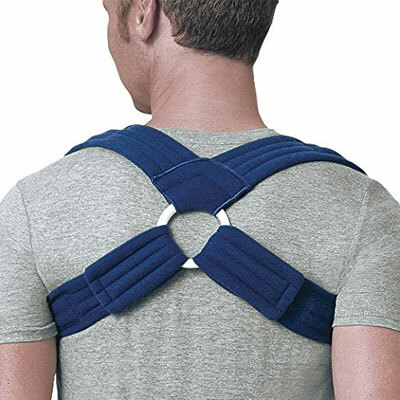 The StabilityAce Upper Back Posture Corrector Brace and Clavicle Support for Fractures, Sprains, and Shoulders is one of the best posture straps on the market. The straps are thick and cushioned, and with the semi-figured 8 design, it goes on just like a backpack. 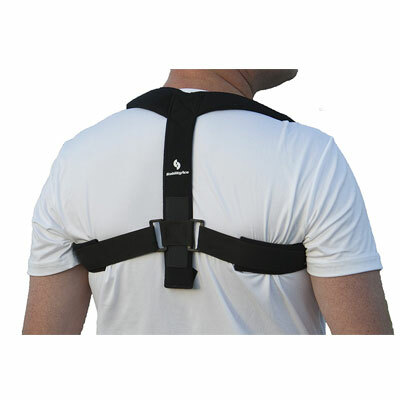 One of the main advantages of the StabilityAce Upper Back Posture Corrector Brace is that it’s completely adjustable. You can simply unfasten the Velcro ends, and pull the straps into position. Then, re-attach the velcro on the straps that are in front of your shoulder. Since it’s washable and very lightweight, you can use it anywhere. You can take it to work, around your house, or even to the gym. 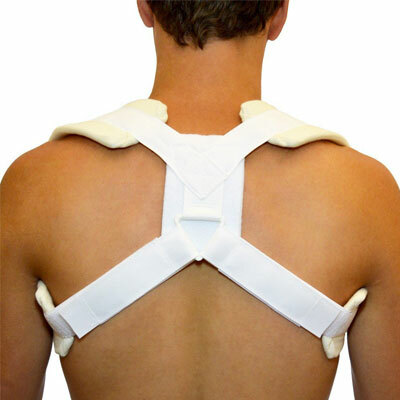 The TOROS-GROUP Comfort Posture Corrector Brace – Back/Shoulder Support is an amazing posture strap that will not only help you straighten up your back as it will allow you to regain your good posture. This is one of my top-rated braces. It is not really a strap, but a full brace. One of the things that you need to know is that this is one posture strap that should only be used 3 to 4 hours a day, and you should never sleep with it. When you first start using it, you should only wear it around 20 minutes. Then, just add small increments until you reach the top 3 or 4 hours. 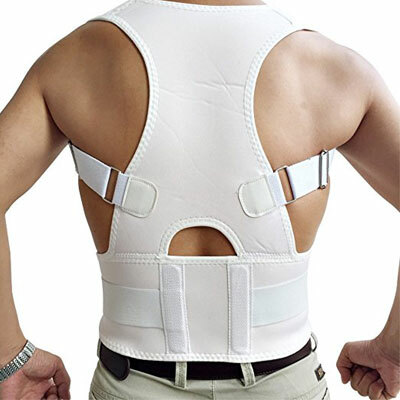 The TOROS-GROUP Comfort Posture Corrector Brace – Back/Shoulder Support includes a waist belt and adjustable straps to make sure that it fits your body. This posture strap can be used by either man and woman. The NONPAREIL Back & Lumbar Support Brace comes with different sizes to make sure you get a good fit. With a sports design, the Emma Ya will help you straighten your back and improve your posture. Designed to fit both men and woman, this posture strap is fully adjustable and comfortable, making it perfect for everyone. 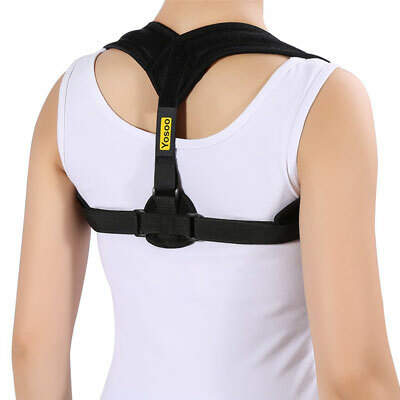 The Yosoo Back Posture Corrector Adjustable Clavicle Brace is very lightweight and comfortable. You can use it either around the house, for work, or even take it to the gym. With the Yosoo, you’ll finally get rid of computer posture and you’ll be able to straighten up while working at desk. Made with high-quality materials, the belt also includes adjustable straps and a shoulder velcro. One of the main benefits of the Yosoo is that you can use it under clothing as if it is an undershirt. The material is great and it doesn’t pinch your skin. 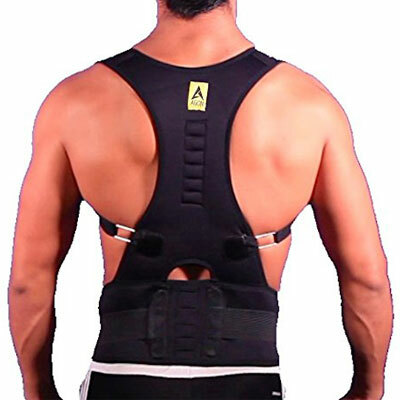 The Aofit Steel Posture Corrector Back Brace Adjustable Double Pull Shoulder Support Belt is another great choice when you’re looking for a posture strap. Being very comfortable, you can even use it under your clothing. The Aofit manages to straighten your back and pull your shoulders at the same time. 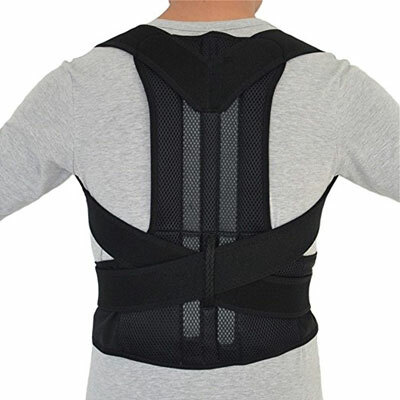 With an amazing breathability and high-elasticity, the NeoTech Care Light Back Brace for Men is another great choice. 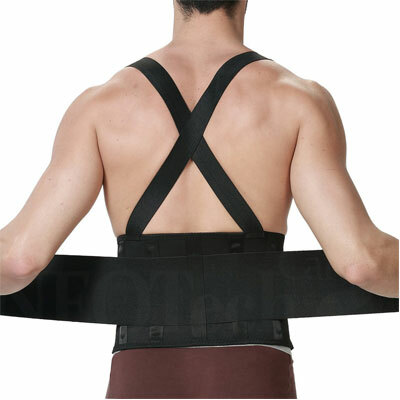 The NeoTech Care Light Back Brace for Men was specially designed thinking about bodybuilders and lifting weights. So, this posture strap gives special emphasis to back support. With 5 different sizes, the FLA Orthopedics Deluxe Clavicle Support for Fractures, Sprains, Shoulder Posture Support- MD is a great posture strap to improve your posture. Designed with simple closures so it is easy to put on and take off, the FLA Orthopedics Deluxe Clavicle Support is also very comfortable since it has an extra-soft padding that keeps moisture away. This backpack style posture strap is ideal for everyone. 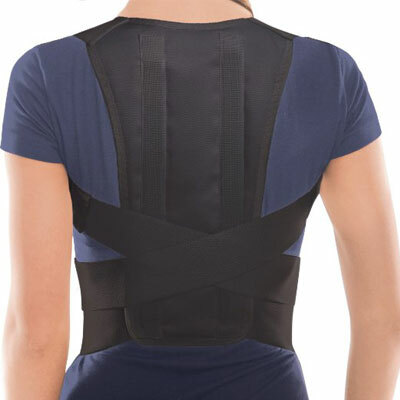 The Agon Posture Corrector Support Back Brace comes only in one size but fits most. With the adjustable straps and hooks, you adjust the level of compression that you need. 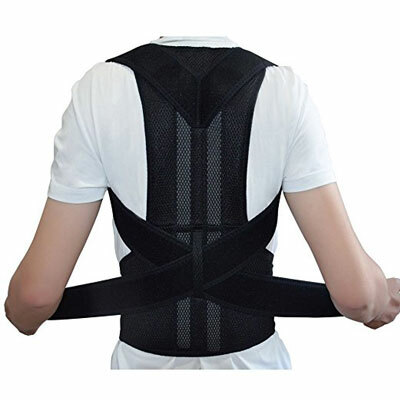 The Agon Posture Corrector Support Back Brace is made with high-quality and breathing materials that will keep you cool. Plus, due to the extra soft padding, you can be sure that you’ll feel comfortable using it. There are many different options when you’re considering getting a posture strap to straighten your back. All of the mentioned products are fully adjustable and some of them even come in different sizes to make sure that they fit you perfectly. Be sure to find one that is comfortable for you. For more information, read more about posture straps and corrective braces.